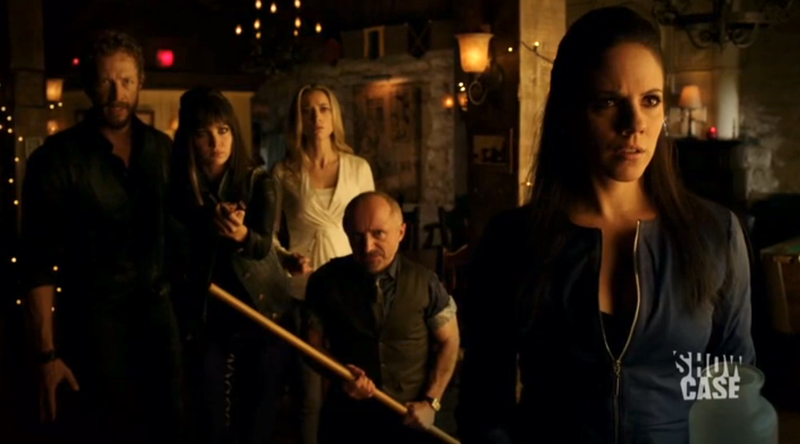 In a season that has given far more questions than answers, the 9th episode of Lost Girl entitled “Destiny’s Child” gives us so many answers we don’t exactly know what to do with them. So let’s break down the episode so we can see just how Bo is the child of an unavoidable destiny. Picking up almost immediately after last episode – well at least until the hangovers subsided – we find Bo and the gang in the Dal debating whether or not to open the Bottle of Black liquid. The bottle is of course opened, despite Trick and Kenzi’s pleas, and reveals a trapped Fae known as Hugin. The Dark Mist that initially took Bo was actually Hugin and his brother Munin who are two crow-like Fae that can teleport at will – even between dimensions. Hugin tells Bo that the Wanderer is his Father – whether biological or ‘like a father’ is never disclosed – and he Hugin would like to get revenge on his brother Munin for stealing his wife. If Bo can help him, he will take her to The Wanderer, but only if she comes alone. If this all sounded like a trap, guess what it was. This was all a trick to get Bo alone and severely outnumbered so they could get revenge on The Wanderer for trapping Hugin in the first place. Again, how this was all organized if Hugin JUST got out, we don’t know. Maybe these crow Fae are mentally connected – like a ‘hive mind’ of sorts and they’re able to telepathically communicate. Either way, after a quick trip to Hell and back, and some help from Dyson and Lauren, Bo regains control of the situation and makes sure Hugin takes her to The Wanderer – alone. While in the Underworld, Bo met the devourer of souls named Leviathan, an immensely powerful Fae who rules over the entire underworld and takes the souls of those unfortunate enough to be damned. After a quick round of very confusing riddles, Bo was allowed passage back to the land of the living, but not before the Leviathan warned that someone Bo cares deeply for will be ‘visiting’ the Leviathan soon. As for the confusing riddle the Leviathan gave, here’s the explanation – since some people expressed confusion. “I am black as night, and as bright as day. How is the answer ‘Fog’ you ask? Fog makes it difficult to see (such as night), and yet is white (like light/day). As for the next line, fog is water vapor and is usually the result of hot and cold mixing. In an attempt to remember what he’s repressed, Trick visits a Luduan named Ming – the sister of the Luduan Dyson visited in Season 2 that made him reveal he couldn’t love Ciara. The Luduan as you remember are Fae who are capable of making anyone tell the truth, and this one has a personal hatred towards Trick the Blood King. After various questions, Trick slowly reveals some of the horrors he’s committed such as a horrible earthquake that claimed 200,000 souls just because some leaders weren’t listening to him. He claims it prevented a greater massacre, a genocide, but then reveals that he’s claimed millions of souls over the years. Ming hesitates, afraid to release the darkness Trick has been keeping inside, but she continues at his request. When asked about his worst deed, he stops. She forces the truth out of him, but instead of answering the question he threatens to use his blood to write her out of existence… just like he did Rayner. 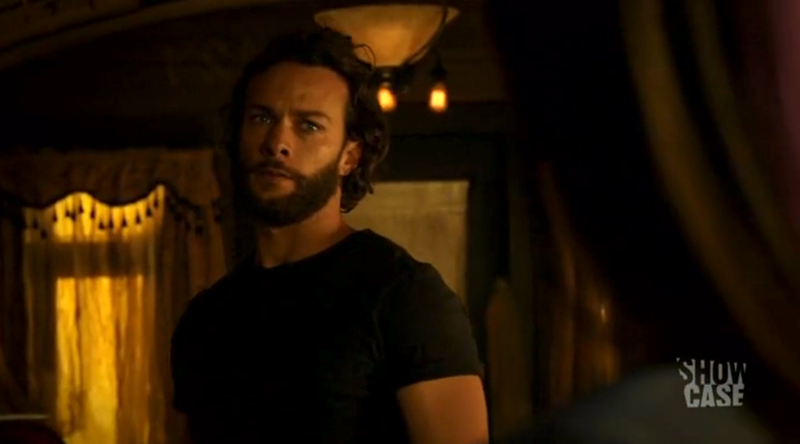 With his memories returned, Trick hurries off to tell Bo. With all his attempts to change the future he still seems powerless as he himself is the one who turned Rayner into The Wanderer and made all the problems that exist now. One final thing to ponder is whether the return of Trick’s memories also means his darker more egotistical side has returned as well. Tamsin and Kenzi try to use Trick’s blood to change the future, but what new events will they risk setting in motion. While Trick is with the Luduan, Kenzi and Tamsin search Trick’s quarters after he stormed out refusing to answer any questions. What they find is an ancient puzzle box that unleashes more and more deadly counter-measures for every wrong answer. Suspecting his blood writing could save Bo, they solve the puzzle and try their hand at using Trick’s blood. Did writing Bo’s name work? 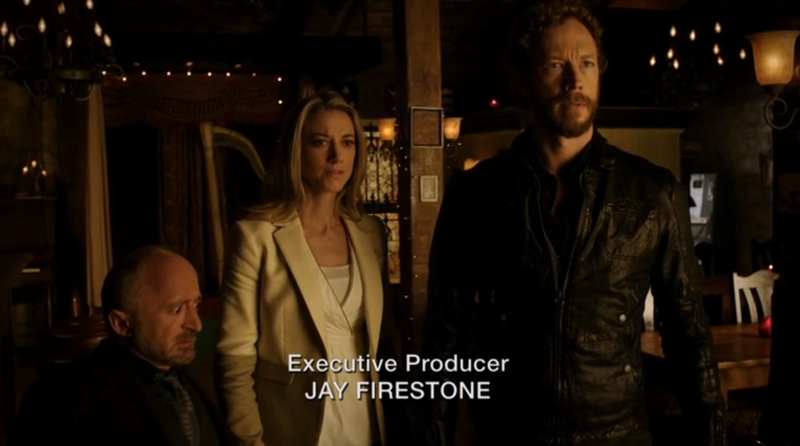 If so, what effect will it have and why did Tamsin’s name appear on its own? It’s not shown if the writings of Kenzi had any effect, but once Tamsin touched the book she went into a trance-like state and remembered her former life cycle – her original life cycle. What any of this means for the future we’ll have to see, but Tamsin’s final words of not trusting Trick add even more complexity to this already complex pile-up of untrustworthy people and motives. Several times this episode we see Bo comepletely disregard everyone else’s opinions and do what she wants. Bo is a strong character, always has been, but something is different here. She repeatedly tells Bo and Lauren they can’t come. If she’s afraid for Laurens safety – since she is human – that’s one thing, but Dyson has proved himself capable on more than one occasion. For someone who was so afraid of The Wanderer, why so stubbornly leave her friends and family behind? If she were afraid of The Wanderer making her do something to them, why would it have to be there. He could just as easily send Bo back to do something to them, so why not take them along as back up. As always, I’m on Team Dyson, but I haven’t liked how Bo has treated either Dyson or Lauren lately. Her single-mindedness is not good and is going to lead to someone getting killed – especially if we are to believe the Leviathan’s warning. In Tamsin’s flashback we see a disheveled Tamsin trying to take the soul of a fallen warrior to realm of the dead, but The Blood King forbids it showing no concern for any laws not written by him. With Tamsin’s lives ending for good, the Blood King offers to give her her lives back to atone for her sins (via blood writing) if he can keep the soul. When we finally meet Rayner, we find a much . . . younger – and albeit handsomer – fellow than we imagined of Bo’s father. Skilled in the art of combat, Rayner dodges Bo’s attacks with ease and then subdues Bo by merely placing his hand on her. Bo goes from angry to infatuated in mere seconds. When Bo returns to the Dal later with Rainer, she claims that he is not her father, but her destiny. This doesn’t have to mean he isn’t her father. Remember, Bo’s currently in infatuated lala land. We will have to see what Rainer’s powers are – considering all the shadow tricks seem to be his crow emissaries – but I’m willing to take a guess as to his species: Incubus. We heard them mentioned in season one as a ‘possible parent of a succubus’. Think of it, he made Bo fall for him the same way she and Aife use their powers of inflaming passions. We’ll have to wait and see, but considering I trust Tamsin’s words more than love-struck Bo right now, I still think he’s the ‘monster’ she describe as creating his own perfect mate. During the scene with the Leviathan, she expresses hatred in how the mark on Bo’s neck was “kept from her”. We know that this mark comes from The Wanderer, and from the later scene in Trick’s flashback we know that the Wanderer’s soul was never claimed. So lets see: The Fae in charge of souls has been searching for ‘that mark’ which was left by a soul that escaped her? This gives us new insight into what that mark is. It obviously connects The Wanderer to Bo, but from this info it seems like they share much more than a mark. Could it be their souls are connected now too in some strange sort of Destiny Bond – Pokemon reference. This is supported by Bo’s confrontation with The Wanderer when he puts his hand on Bo’s mark – thus activating it – but also puts Bo hand on the same area of his body – which also seems to activate. Bo and Rayner have the same marks, so they are definitely sharing something considering this resulted in mind-wiped, love-struck, ga-ga Bo. Just to reiterate and make things clear. I don’t believe anything Bo says at the end. She is acting like a love sick puppy who comes up with crazy scenarios to overlook the unforgiveable things someone else has done. She’s under Rayner’s control and isn’t thinking clearly. Whatever Bo says, I’m still fairly certain Rayner is her father, and not the Disney prince-in-need she believes him to be. The only thing more fitting than the looks of betrayal on Dyson’s and Lauren’s faces, is the look of confusion on Trick’s. Despite all the answers we’ve received, we now have a new overwhelming question: “Who can be trusted?” Bo’s infatuated by Rayner. Trick remembers his darker sides. Perhaps the Una Mens do have good intentions if they think the Blood King is still that corrupt. The past is becoming clearer, but the future has never looked so foggy.